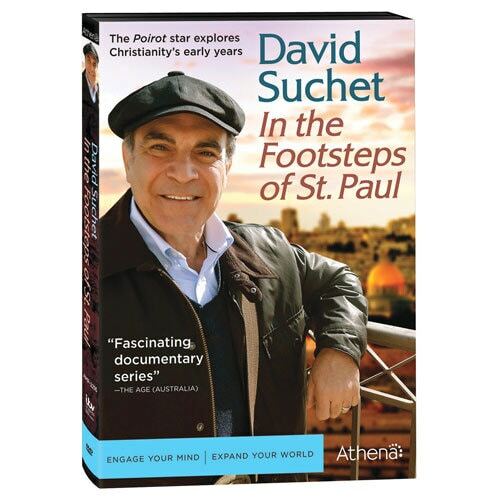 Suchet begins his quest in Jerusalem, site of the crucifixion of Jesus, the stoning death of Stephen, and Saul the Pharisee's persecution of the new "Jesus movement." In Tarsus, he discovers another aspect of the apostle's life-his Roman citizenship-and, on the road to Damascus, the event that changed Paul's life forever and set him on a mission that would change the world. Crossing over from Asia, Suchet follows Paul's route through Greece, from Philippi and Thessalonica down to Athens and Corinth. He then visits the sites connected with Paul's last years: Jerusalem, where the apostle was arrested; Caesarea, where he was imprisoned; and Rome, where he disappeared off the pages of scripture and into the realms of speculation and tradition. 12-page viewer's guide with a map; a timeline of the life of St. Paul; and articles on the Roman Empire in Paul's day, Paul's final years, and the writings of St. Paul.